Explore the very best premium vineyards in the wine country of Chile, visiting the Colchagua Valley (The World's Best Wine Region 2005), Vik Winery & Montes Winery. You will also have the option to take a city tour in Santiago. Today upon arrival to Santiago's airport, a driver and guide will meet you and take you to your hotel in Santiago. Here you have the option to take a tour of the city, or simply explore on your own. This morning after checking out of your hotel, your driver and guide will take you south to the Cachapoal Valley. The Cachapoal Valley is located 53 miles (85 km) south of Santiago. Most of Cachapoal's noteworthy vineyards are located towards the east of the region, in the foothills of the Andes, away from the warmer valley floor. The area is known for its Cabernet Sauvignon vines, while closer to the coast, where the ocean breezes flow through the coastal range, has more Carmenere vines. Our first stop will be to the Altair vineyard, is located close to the town of Requinoa. The main factors that give character and complexity to their wine are their proximity to the mountains and the cool breezes that come down causing a natural temperature in the vineyard of 25 degrees and up, allowing them to extend the natural maturation of the fruit on the vine. The resulting wines exhibit delicate and soft tannins, bright aromas, and a freshness and natural acidity rare in the new world. The wines are concentrated, but above all the stamp the Upper Cachapoal valley brings to their wines a remarkable finesse and elegance. Our tour here will conclude with a tasting of their wines, and lunch at the vineyards restaurant. Next, we will head towards VIK Winery. Vina Vik sits on a 4300-hectare property hidden in the forest on the northern side of the Apalta Valley. It has a very high level lodge with a privileged view overlooking our 70-hectare lake and 3,000 hectares of forests and vineyards. The 11,000 acre property is hemmed by contoured hills dotted with native forests. Here the vines grow in the rolling valley and climbing the steep hillsides. The area boasts a very pleasant climate with warm sunny days and cool evenings. It is a pleasure to spend time at VIK discovering Millahue, "the place of gold" in the local Mapuche language and the fabulous wine. Here we will have a tour of their wine-producing facilities and conclude with a tasting of their spectacular wines. Afterwards, your guide and driver will take you to the Colchagua Valley. 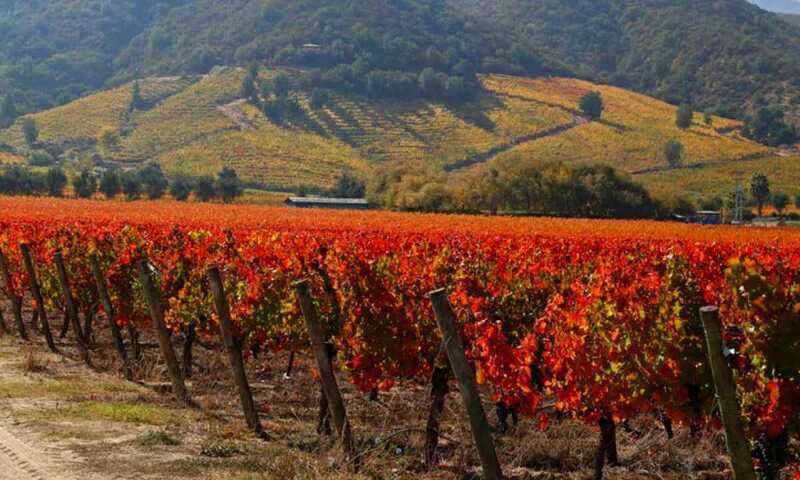 The Colchagua Valley is located 180 km (110 mi) south of Santiago, at the southernmost portion of the Rapel Valley. 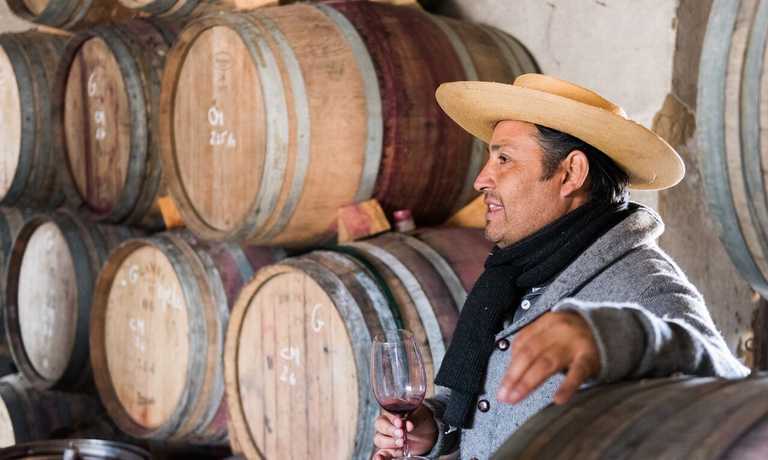 This is one of Chile's best known wine regions and has earned much applause for its full-bodied Cabernet, Carmenere, Syrah, and Malbec, and its wines regularly appear high on the world's lists of leading wines. The majority of the wineries are concentrated in the center of the valley, although new plantations climb hillsides and explore the western frontier toward the sea. Home to the 'huaso' (Chilean cowboys). One of Chile's best-known regions for premium quality red varieties. Named "World's Best Wine Region 2005" by Wine Enthusiast. Upon arrival you will check-in at your hotel. This morning after breakfast, your driver and guide will take you on a full day tour of the Colchagua Valley. First, you will visit the Montes Winery. 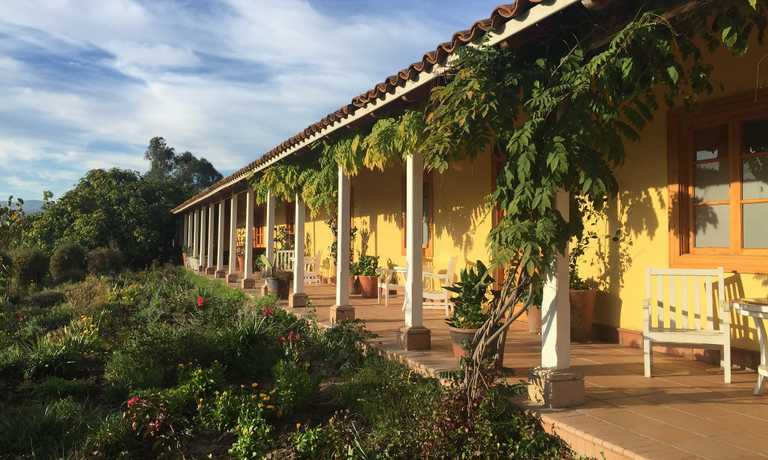 "La Finca de Apalta" is an essential part of the renowned Apalta Valley. The Tinguiririca River forms a natural divider in this isolated area, while a mountain chain to the north helps maintain a soft ocean breeze that plays a key role in the Apalta climate. To the south, the Tinguiririca River creates a wind corridor, while the steep south-facing hillsides allow the vineyards to obtain adequate light and sun exposure. In December 2004, Montes inaugurated the new winery at Apalta. The investment totaled over U$ 7 million with a storing capacity of 2,300,000 litres. A cellar that becomes a qualitative production leap for one of the most applauded Montes red wines: Montes Alpha and the Ultra-Premium Montes Alpha M and Montes Folly in addition to the recently launched Purple Angel. This cellar holds state-of-the art technology, equipment and design, and the capacity of producing one of Chile's finest wines. Your tour here will conclude with a tasting of their premium wines. Our next stop today will be the Clos Apalta winery. This revolutionary winery is solely dedicated to the production of Casa Lapostolle's world-class icon wine, Clos Apalta. The winery is 100% gravity-fed spanning five levels, three of which are buried into the granite of the Apalta hillside to provide a natural cool temperature environment for cellaring and ageing. This rare vertical design allows the wine to flow naturally downward during every stage of the production, eliminating the need to pump, which can adversely affect the subtle flavors of the wine. Lunch will be at the vineyards award-winning restaurant. Our next destination will be to the Neyen Winery, where you will find the perfect blend of tradition and modernity. It was founded by the Rojas family in 2002 on the site of one of the area's pioneering wineries that dates back to the late 19th century. The vineyards enjoy a privileged location within the horseshoe-shaped Apalta Valley: a small valley protected by the nearby Coastal Range from the winds that blow through the Tinguiririca River Canyon. Afterwards, you will return to your hotel, where you will have the rest of the evening at leisure. This morning after checking-out of your hotel, your driver and guide will pick you up and take you 2 hours west of Santiago, to the San Antonio & Casablanca Valley. The Casablanca Valley is located between the coastal mountain range and the Pacific Ocean. Vineyards have grown here since 1875, but only since the 1980's was the true potential of this valley discovered, when it was determined that the soil and the conditions were in many ways similar to the Napa and Sonoma valleys in California. This valley is located in a temperate semi-arid climate zone, characterized by alternating short, relatively rainy winters and long, continually dry summers. The valley is oriented in such a way that daily ocean breezes cool the grapes on the vines and result in intensely fruity wines. Additionally, very favorable sunlight conditions influence the grape ripening process, creating unique conditions that provide its wines with unique features. Upon arrival, we will visit some of the valleys best vineyards. Casa Marin is a boutique winery and fine wine producer. It stands out for its unique cool climate terroir located in Lo Abarca - part of the San Antonio Valley - just 4 kilometers from the Pacific coast. The wines have been recognized internationally for their quality, innovation and market value. The winery produces the following varieties: Pinot Noir, Syrah, Sauvignon Blanc, Riesling, Gewurztraminer and Sauvignon Gris. Our next stop today will be to the Matetic vineyard, which was designed by their team in cooperation with the architect Lawrence Odfjell. It is a state-of-the-art wine-making facility, constructed so as to complement its glorious setting. In other words, harmony has been reached between the winery's organic agricultural practices and the natural landscape of the valley. This winery, which has a 300 thousand-liter capacity, relies on a gravitational-flow design that optimizes management of the grapes brought in from the nearby vineyards. During your tour here, you will learn about the different phases of wine production while appreciating the stunning views of the vineyards and the beautiful Rosario Valley. Afterwards we will enjoy a delicious lunch served in the vineyard's Equilibrio Restaurant, run by the prestigious chef Matias Bustos. After lunch, your driver and guide will take you to Santiago's airport for your flight. The price of USD $2150 per person is based on a group of 2 people. All meals according to program (B) = Breakfast, (L) = Lunch, (D) = Dinner Beverages: beer and wine. Entrance fees for: wineries, museums.